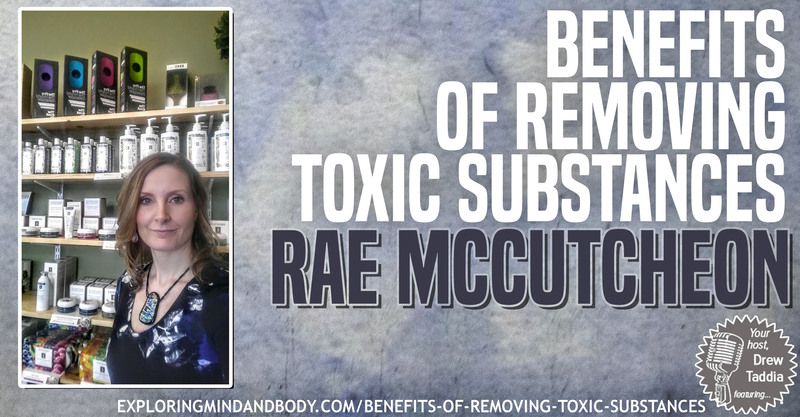 Rae McCutcheon owner of the Organic Oasis spa in Penhold Alberta talks about how removing toxins from her environment improve her sons Tourettes. She also mentions how her own headaches went away by changing the chemicals in the hair colouring she was using. On top of that she talks about the importance of creating a toxic free environment for not only her clients but employees as well. Rae: “I found out my oldest son was diagnosed with Tourette’s syndrome 4 years ago. We started going to a Naturopath and researching natural treatments for Tourette’s.Through researching on natural alternatives and treatments, we found out about the importance of detoxing and avoiding the exposure to toxic chemicals. That is what started my journey with using on my family no chemical products and being that I did hair out of my home I realized the ammonia color and other harsh fragrances and chemicals could be affecting my son and rest of the family. So I started using only ammonia free colors, seeking lines that were the most health conscious alternatives that I could find. We have since then noticed an amazing turn around with our son, through all the dietary changes, detoxing and removing chemicals from our household”. Great show. I wish salons everywhere could hear this! I will be bringing it to the attention of the spa manager at the the salon I go to(she happens to be my estetician.). Hopefully she will share with the salon manager! Love that she recycles everything too! Thanks so much for listening Louise and for taking the time to comment. Every salon should here this! Couldn’t agree more.